THE Northern Ireland Policing Board is considering changing a long-standing requirement which must be met by police officers applying for the post of PSNI chief constable. The move – if approved – would allow senior officers within the PSNI currently ineligible for the job to apply. Under existing criteria, only individuals with a minimum of two years’ service in a police force outside Northern Ireland at the rank of assistant chief constable or higher can be considered for the post. This principle has been applied in police forces throughout the UK until recently. The Detail can reveal that the issue is to be considered by the Policing Board’s new resources committee which is due to have its first meeting today (Thursday). The committee will develop a recommendation for members of the board to consider the impact of changing the criteria needed to become chief constable of the PSNI. We have spoken to one former assistant chief constable who believes that changes to the criteria should be implemented so that candidates are judged on their ability and not on where they have worked. The two year specification was dropped in England and Wales in November 2012 as part of reforms which ushered in elected police commissioners there. If changes are brought in here this would open the post up to the current deputy chief constable Judith Gillespie, whose entire policing career has been based in Northern Ireland. She briefly acted as interim chief constable in 2009 before the appointment of current PSNI chief constable Matt Baggott. Under current rules, only one of the PSNI’s four assistant chief constables (ACC) is currently eligible for the position of chief constable. 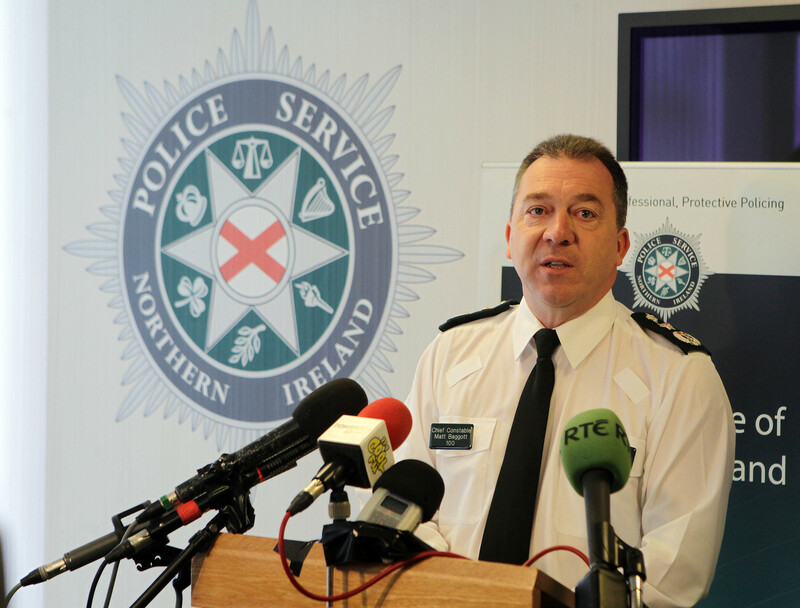 ACC George Hamilton held the same position in Strathclyde Police for a number of years and returned to the PSNI last year. Under the Patten Commission the Northern Ireland Policing Board took responsibility for appointing and removing senior police officers in Northern Ireland. The changes also brought Northern Ireland closer in line with the rest of the United Kingdom. Included in this was a clause stating that any candidate for the position of PSNI chief constable had to have at least two years’ experience at assistant chief constable rank or higher in some other police service. Matt Baggott was assistant chief constable in the West Midlands Police in 1998 and was promoted in December 2002 to the position of chief constable in the Leicestershire Constabulary before joining the PSNI in September 2009. His predecessor Sir Hugh Orde became a deputy assistant commissioner of London’s Metropolitan Police Service in 1999 and was a graduate of the FBI’s top-flight National Executive Institute before heading up the Police Service in Northern Ireland. Matt Baggott’s current contract as chief constable ends in August 2014. Any potential change in the criteria for this position would inevitably increase the number of senior officers from Northern Ireland eligible to go for the top job. It would also leave the position open for their current deputy chief constable Judith Gillespie to apply. A native of north Belfast, she joined the Royal Ulster Constabulary (RUC) in 1982 and became the first ever female assistant chief constable in the history of Northern Ireland policing in May 2004. In May 2009 she became the most senior police woman in Northern Ireland’s history when she was appointed deputy chief constable. She was also appointed acting chief constable in August 2009 and continued in that role for a month until the appointment of Matt Baggott. She has not however had the minimum two years’ experience in another force as an assistant chief constable or equivalent rank. However, under the current rules in England and Wales she is eligible to apply for a chief constable position outside of Northern Ireland. In 2008 the then assistant chief constable Peter Sheridan, who headed up the PSNI’s Crime Operations Department, left the police to join cross border peace charity Co-operation Ireland. At the time many saw it as a shock departure as he had been widely tipped as the next chief constable of the PSNI. However, under existing rules he was not eligible for the top policing job within Northern Ireland. Speaking to The Detail, Mr Sheridan said he believes opening up the criteria to enable more locally based officers to apply for the chief constable position could only be a positive thing. He said: “I was never convinced that having to serve two years in another force should be a requirement. Some forces in the UK with a chief constable are similar in size to a district command in Northern Ireland where a chief superintendent is in charge. “I believe if someone can demonstrate the necessary skills, abilities and attributes for the job that is infinitely more important that what force someone served in. During a Policing Board meeting in March the chief executive of the board, Sam Pollock, informed members that the need for chief constables in England and Wales to have served as an assistant chief constable in another force had now been removed. In view of this development Mr Pollock suggested that the board should review this requirement which is currently still in place in respect of the PSNI. Mr Pollock said he had written to the Minister of Justice, whose approval is required for any candidate agreed by the board as suitable, and the Department of Justice had indicated this was a matter for the board to decide. Members discussed the position in England and Wales and expressed surprise that the DoJ had not offered its views as the department has responsibility for drafting the job specification. A number of members indicated that given the significance of the issue that the decision should rest with the board but that the new resources committee should consider the matter and develop a recommendation to the board, including an equality impact assessment of changing the policy. It was also suggested that the review should include all senior officer appointments and that a briefing paper should be brought to a future board meeting. The resources committee is due to have its first meeting today. Its role is to scrutinise all aspects of board and PSNI resources.